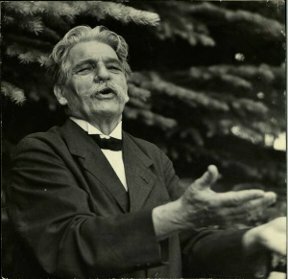 Albert Schweitzer (1875-1965) is a German philosopher, physician, humanitarian & musician. Schweitzer received the 1952 the Nobel Peace Prize for his philosophy of "Reverence of Life", expressed in many ways, but most famously in founding and sustaining the Albert Schweitzer Hospital in Lambaréné (Gabon, west central Africa - then French Equatorial Africa). NOTICE: ...I think especially his pinky finger and his ring finger are very, very well developed. thank you for the fotos. It's worth to know him. I agree with your finger interpretation. - He was a theologian, musician and Doctor. He studied and practiced it all. His right spatula Saturn is also remarcable.